Welcome to the heart of Hatboro, PA, a small community with big heart north of Philadelphia along the 611.  When you live at Livingstone Apartments, you get the enviable sense of community that’s hard to find these days. We are located between the Warminster and Hatboro SEPTA stations, so it’s a quick drive either direction for a fast trip to Center City Philadelphia, with quick access to the 611 and PA Turnpike. Head down York or County Line Roads and explore great restaurants, bars, shops, and more! You’ll have that small community feel, but won’t have to sacrifice any accessibility. It’s perfect for anyone with any lifestyle. Come see us today! Call to schedule a tour or start your application online.